Playing, editing and watching videos anywhere is no longer a troublesome issue! EaseFab Video Converter Mac software enables you to convert all popular video files to fit your portable media players with the best video settings. Besides, the program supports exporting various professinal encoders - Apple Intermediate Codec, ProRes, DNxHD and more - ensuring maximum editing quality and efficiency when working with iMovie, Final Cut Pro, Avid Media Composer or Adobe Premiere and more. What's more, this video file converter ensures zero quality loss conversion with extremely high speed. If you want to handle lossless, fast and stable conversion on Mac, then you absolutely cannot miss EaseFab Video Converter for Mac. EaseFab Video Converter for Mac allows you not only to convert a wide range of UHD 4K, HD and SD videos regardless of formats, but also lets you convert those downloaded or homemade videos to any popular video and audio formats for play and share anywhere you like. It supports more than 70 input formats and up to 250+ output file format. 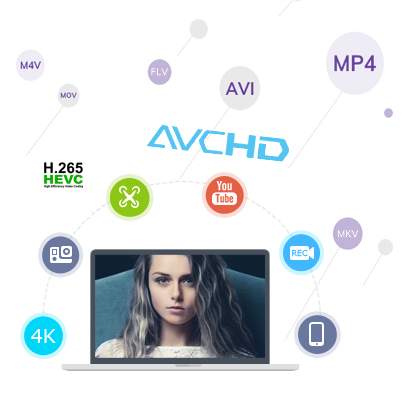 Supported output video and audio formats include MP4, MOV, WMV, AVI, XAVC, XAVC S, MPEG, VOB, TiVo recordings, MXF, MTS/M2TS, FLV, 3GP, 3G2, DivX, XviD, MP3, WMA, WAV, AAC, AC3, M4A and more. You can also freely extract audio from video files and convert them to popular audio formats for playback on your music player. Trouble of importing or editing your camcorder/camera videos because of compatibility issues? Your trouble is over! This top-ranked Video Converter for Mac supports convert all HD/4K video files including AVCHD, MTS, M2TS, XAVC, XAVC S, MXF, MOV, MP4, etc. 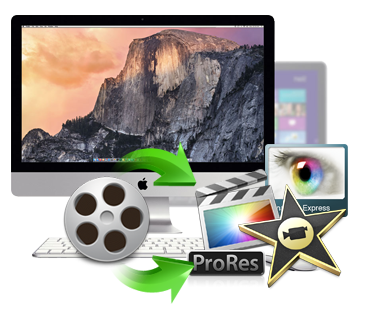 to various professinal encoders - Apple Intermediate Codec, ProRes and DNxHD, DVCPRO, HDV, MPEG-2 - ensuring maximum editing quality and efficiency when working with iMovie, Final Cut Pro, Avid Media Composer, Adobe Premiere and more. This video converter Mac software enables you to convert video to fit your portable media players with the best video settings. 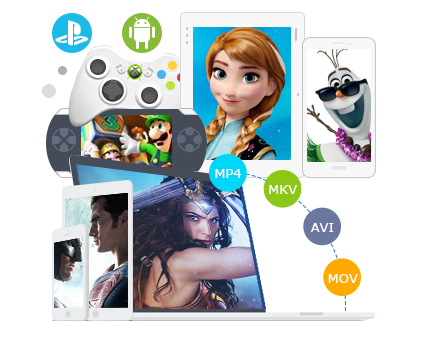 Video Presets for iPhone 6, iPhone 6 Plus, iPad Air 2, iPad Mini 2, Apple TV 3, Samsung Galaxy Devices, Google Nexus, Xbox One/360, PS3/PS4, Amazon Kindle devices, Archos, BlackBerry, HTC and more are provided. With it, you can watch any media files on your mobile devices on the go. You can also convert your videos to online video sites supported formats: YouTube, Vimeo, Facebook, FLV, SWF, F4V, WebM. Far more than a Mac video conversion program, EaseFab Video Converter also comes with a built-in video editor, with which, you can personalize and retouch your videos in clicks. All the smart video editing features lets you get a video with all the factors you prefer. You can: Trim video into smaller segments; brand your video by embedding a watermark, adding effects to convert with any format video files; Remove unwanted objects from video; and there are a lot of other wondrous features waiting for you to explore.